Here’s a quick update on the front runners in the JAK inhibitor derby that has dominated MPN news pretty much for the past six going on seven years. Coming around the turn and lengthening his lead, is Jakafi in the green and purple silks. Jakafi, out of ruxolitinib and the Incyte stables, got the green light and a BIG headstart on the field at the end of 2011. A couple of contenders scratched before the race but Cytopia (CYT-387), the Australian filly, was coming on strong. When quarter lap results of Cytopia trials were announced at ASH 2012 – good spleen reduction, good improvement of QoL, minimal to no anemia response – Cytopia moved to the rail and picked up speed. That’s when ownership changed and Gilead Sciences swooped in to claim the horse from YMI Bioscience. 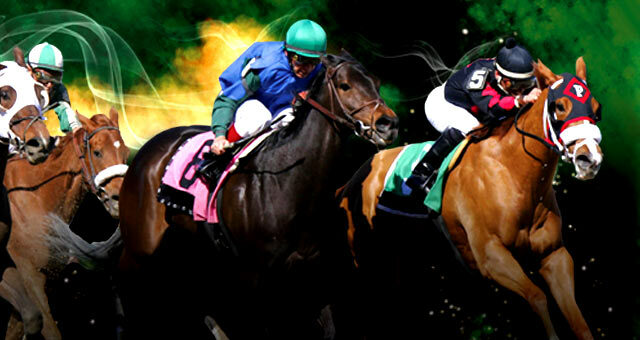 Under its new name – Momelotinib — and with a new trainer and jockey in place, Cytopia/Momelotinib/CYT-387 seemed to be gaining on the field as it was lost to view of the crowd around the far turn. Its new owner, Gilead, which has another horse in the MPN stakes in its GS-6624 clinical trial (see No bomb in Gilead, below) is keeping a low profile, commenting only that Phase 3 clinical trials – last stop before seeking FDA approval – will start in the second half of 2013. That’s about now. And then there’s Sanofi’s SAR 302503 the old TargeGen, that still looks like a long-shot but is gamely pounding the turf. The big differentiator here is SAR 302etc. looks like a possibility for patients with thrombocytopenia, a critical advantage when low platelets disqualify many patients from both trial and some other JAK inhibitor therapy. Lead investigator, Dr. Moshe Talpaz presented much the same material at the EHA meeting as ASCO. A summary of his ASH 2012 report is here. At meetings this past month, the Sanofi focus was on the ability of SAR 302etc. to block the expression of inflammatory cytokines. Results are promising but a stumbling block seems to be the small (N=31) research cohort. 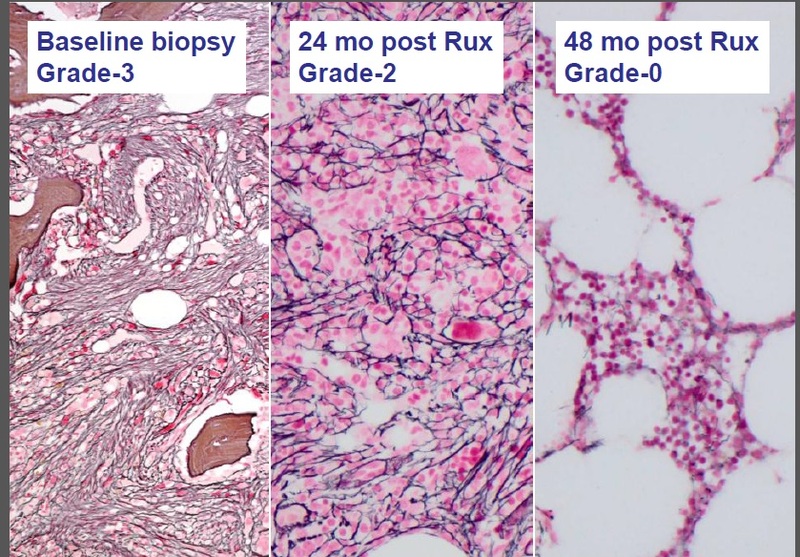 Jakafi in the meantime – Jakavi, outside the United States – added an extra burst of speed at the ASCO meeting to its already commanding lead: There seems to be little doubt now that the drug can, in many cases, control the worst of MF symptoms, improve quality of life but also change the architecture of the bone marrow, significantly reducing fibrosis. Presentation of the findings from the Phase I/II clinical trial was made by Dr. Hans Michael Kvasnicka of the University of Frankfurt. It’s not exactly definitive yet, but there’s a striking indication that the effects of inhibiting the JAK2 mutation — along with as yet unknown collateral activity — can contribute, in many cases, to successful management of MF and possibly permit a high risk MF patient to avoid a risky stem cell transplant. A European LeukemiaNet project is underway to define the role of fibrosis in MF. Jakafi, however, does not work for all patients, can have side effects, and even in this successful clinical trial some participating patients in the ruxolitinib arm exhibited worsening fibrosis. For all that, Jakafi still has the field all to himself and in case of an unlikely photo finish, this sequence presented at EHA makes it hard to question who’s leading the field. You have to ask yourself: What are they doing in our ballpark? Big Pharmas with lots of cash… are they helping solve the problem or just muddying the waters? When Gilead turned its attention to myelofibrosis it seemed a logical and promising approach. GS-6624 (renamed simtuzamob) completed its Phase I MF clinical trial, according to one principal investigator, smoothly, without a hitch, with well-tolerated toxicity and good results. The giant pharma, with proven skill in producing combinatorial drugs like the HIV cocktail that has filled its coffers, backed a Phase II clinical trial that is now recruiting. Clinical Trial NCT01369498 is an efficacy and safety trial for patients with primary myelofibrosis or MF secondary to PV or ET. The study is designed as a two stage trial. In stage one, patients were randomized into two cohorts to receive either 200 or 700 mg of the study drug. In the stage two, patients on ruxolitinib will be randomized to receive either 200 or 700 mg of study drug. The patient accrual rate — getting patients to sign up for the trial — is “disappointingly slow.” It’s not surprising. Who has the time, energy and motivation to travel every two weeks to an infusion center to be a guinea pig in a safety and toxicity trial… and maybe get a drug that might help? The infusion process itself takes about an hour. In stage two, where GS-6624 is paired with Jakafi, patients must acquire the drug through prescription from their physicians and pay for it on their own. While the GS-6624 investment in a novel MF treatment could have an enormous payoff, there’s more of a question about another acquisition. 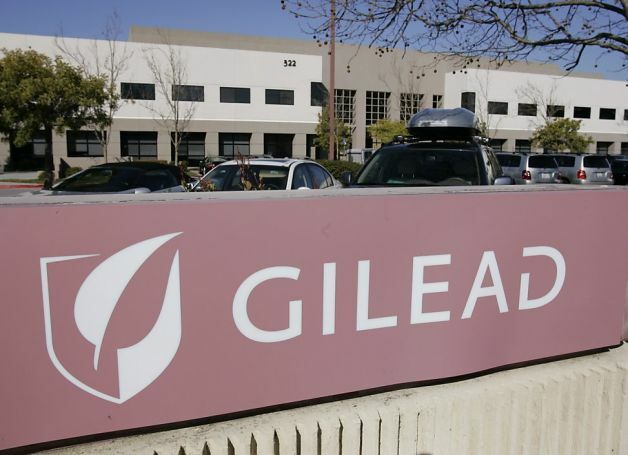 Gilead made the bold move last year of acquiring a latecomer to the JAK2 inhibitor field — YMI Bioscience – for a whopping $492 million. Gilead clearly decided to go head to head with Incyte. Incyte took the early risks in fielding a JAK2 inhibitor and, years ago, backed by giant Novartis, went through the prerequisite clinical trials. Its product, ruxolitinib, emerged as Jakafi with FDA and EHA approvals late in 2011. With widespread acceptance and repeated success in expanded trials, Incyte racked up $48 million in Jakafi revenues in the first quarter of 2013. Ironically, even though they might be banking on CYT-387 (now renamed: Momelotinib) to capture a share of Jakafi’s market, for the second stage of their GS-6624 trial they’re adding Jakafi to one arm to see if there’s an added benefit to MF patients. It’s a nice thought — reverse fibrosis and reduce MF symptom burden the way Jakafi now does – and we wish them luck. Still, when you think how much good the MPN Research Foundation has done backing basic research with only $8 million, what would half a billion dollars buy if it were spent on finding a cure for MF, if it funded the science and labs instead of funding clinical trials of look-alike drugs in a horse race for near-term profit. Victory for genomics. Celebrate sunshine in Washington, D.C…. The decision throws open the doors to genetic research and genomic medicine, in particular. The specific case at hand involved the BRCA1 and BRCA2 genes used to detect early signs of breast and ovarian cancer. 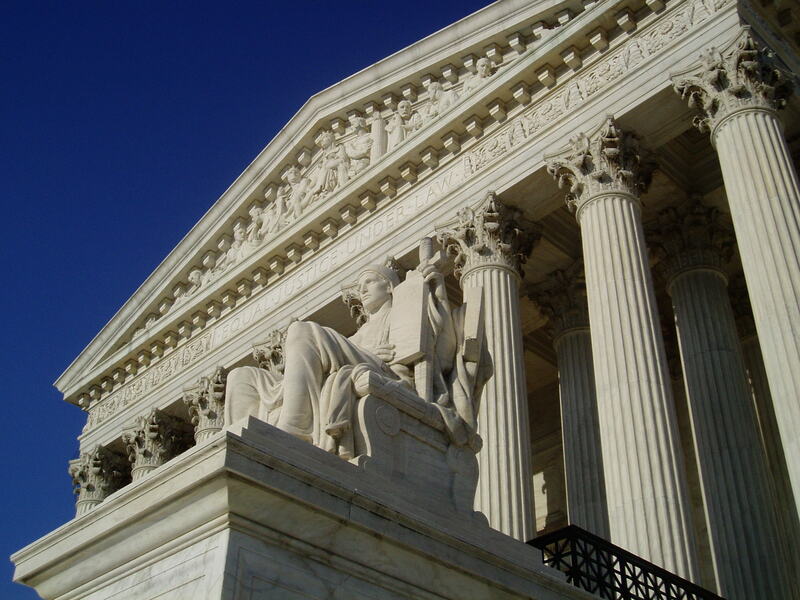 It has taken four years for the lawsuit filed by the ACLU to work its way to the High Court . A particularly chilling aspect of the patent prevented scientists from developing new methods to explore the genes. If you’re looking for a way to learn more about the genetic roots of our MPNs – and likely the only path to a cure – and plan to be in the Nation’s capital this summer, visit the new Smithsonian exhibit, Genome: Unlocking Life’s Code. You can visit the exhibit site that has great graphics and a virtual tour. 23andMe the personal genomics company that sponsored the MPN research initiative also has something to celebrate now that the chilling hand of litigation has been lifted from genomic exploration. The company has a story about the new Smithsonian exhibit, in its blog, Spittoon. Sometimes, the only appropriate response to reality is humility. Last week I read a study of the human gut and discovered humans, on average, have 10 trillion cells. This is something clearly to be proud of but considering all those cells are reproducing, communicating, dying, digesting and going shopping, the fact that we’re rarely aware of them is reason to suspect we’re a bit oblivious. The human gut, on the other hand, is homeland to communities of micro-organisms numbering 100 trillion. Again, beneath our radar. In their myriads of tribes and families, camped in niche and crevasse, they thrive, decline and move on based mainly on our lifestyle and diet. Now I can’t imagine what graduate student got the job of heading south and taking that census and I’m definitely not sure it’s accurate, but still, you have to admit 100 trillion is a big number of anything to have quietly set up shop in our already seething, and previously considered private, self. Worst of all, we can’t evict them. They are part and parcel of us; we simply can’t live without them. It’s all pretty humbling. While we do have MPN news to report from that event — and the American Society of Clinical Oncologists (ASCO) meeting in the Midwest — the humbling truth is MPNs are small potatoes in the hematologic universe. On that, Chicago, Stockholm and Washington, D.C. agree. In the course of some basic fact-checking, I found myself at the National Heart, Lung, and Blood Institute of the NIH. Quickly, I discovered there is no mention of myeloproliferative neoplasm in any form or spelling on that site. In response to my query, the NHLBI responded “Information about this condition is not available from NHLBI.” I was referred to the National Cancer Institute and its pitifully inadequate coverage of MPNs conjoined with an equally anemic Myelodysplastic syndrome page. You can even head to ASCO’s own CancerNet search page and type in your favorite MPN flavor. Zero. MPNs are lumped under Acute Leukemias and while there’s lots of AMLs (and I do have MPN abstracts from that meeting) their search engine turned up zero MFs, PVs, or ETs. It would seem that to ASCO, and to the National Institutes of Health, the National Cancer Institute and the National Heart Lung and BLOOD Institute we’re a bit like those colonies of microrganisms, flourishing – or not – out of sight, out of mind. Yes! About time we got some recognition. And there’s an entire 210 page book – available in PDF and free on request – produced by the scientific working group on QoL, entitled Patient Report Outcomes in Hematology. My burst of enthusiasm, however, fell victim to reality and the need for honest humility resurfaced. Once again I was reminded we’re only an orphan disease, peering in from the cold at the glittering mainstream of lavish attention and concern showered on our more popular blood relatives. 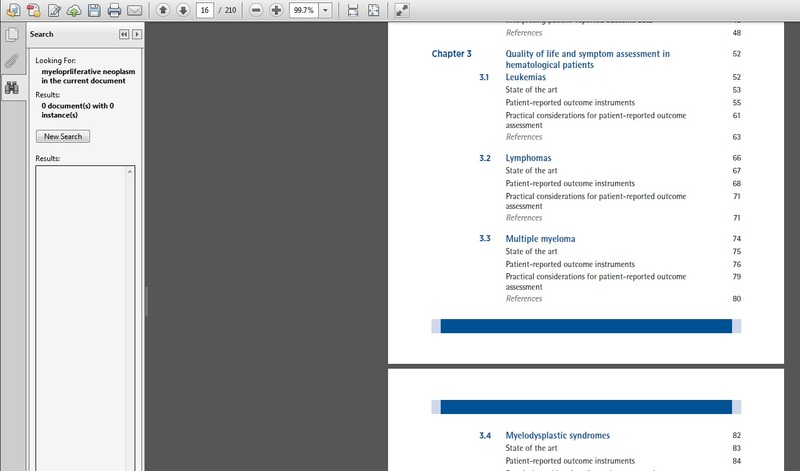 Searching all 210 pages I found no mention of MPNs, ET or PV, and only a single footnote referencing myelofibrosis. Gut flora, that’s what we are. But at least we have each other…and maybe there’s something decent for dinner. © MPNforum.com, 2013. Unauthorized use and/or duplication of this material without express and written permission from this blog’s author and/or owner is strictly prohibited. Excerpts and links may be used, provided that full and clear credit is given to the author and MPNforum.com with appropriate and specific direction to the original content.